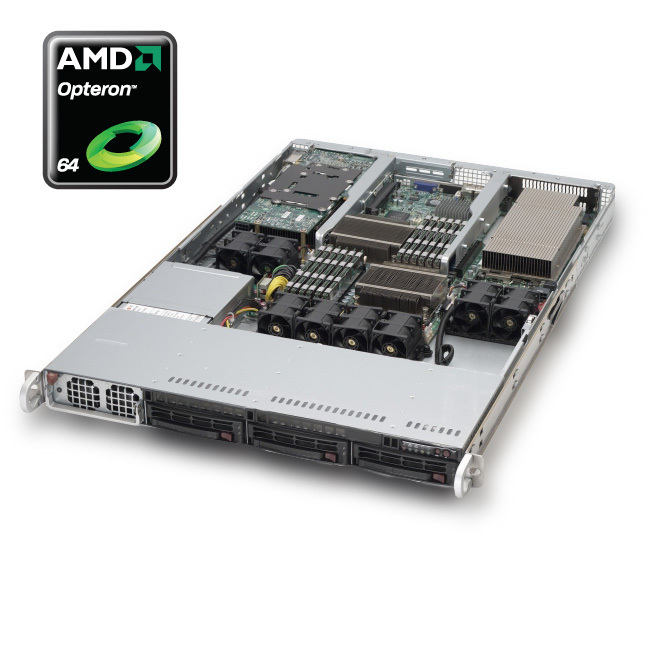 Designed for optimal performance, LZS 's Twelve/Eight-Core AMD Opteron™ 6100 series processor based system is paired with AMD chipset in a high-density 1U form-factor. With best-in-class memory architecture supporting latest DDR3 memory, hot-swap SAS/SATA drive bays, latest IPMI intelligent management, and PCI-E 2.0 for improved I/O performance. These systems are ideal for HPC and minimal-downtime cluster server systems.